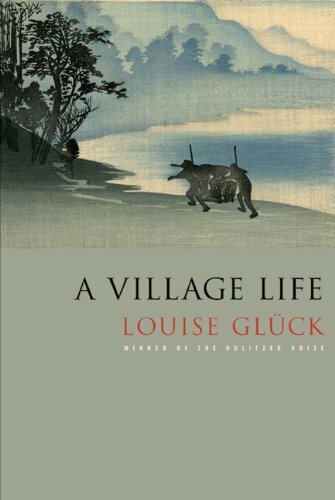 A Village Life, written in 2009, is Louise Glück’s eleventh collection of poetry. This was a lot different from her earlier collections that I’ve read. A lot of reviews have described this as a verse novel, but I don’t think there is a true narrative here, especially compared to something like The Autobiography of Red, a true verse novel. Instead, the collection is tied together by a common setting that explores the themes of youth, death, and a nostalgia for home. As you may have guessed, that common setting is a village, somewhere with fields, mountains, and rivers, in maybe part of Europe. The children cry, they sometimes fight over toys. that for them to drown would be terrible. that way, dreams don’t damage you. To me, this book is a lot quieter than her previous ones, but the moments of stillness convey much louder messages. I have been thinking a lot about what makes a book of poetry work. I haven’t come to any conclusions yet, but A Village Life works. I would recommend this book to people that are homesick, people that live in small towns, people that are on the fence about poetry and want to start somewhere approachable. Prism was one of my favorite poems in high school, and I still think about it often. Thank you so much for the recommendation. I’m a huge Gluck fan which means I come to each new collection with crazily high expectations, it’s good to hear that this is up to her usual high standard!